NIPPO VINI FANTINI EUROPA OVINI: 4TH PLACE FOR MARCO TIZZA AT VUELTA A BURGOS. Marco Tizza closed to the podium in the inaugural stage of the Vuelta a Burgos. 4th place of the day for the #OrangeBlue rider at the end of a stage decided by the usual final climb on the castle of the city of Burgos. Top 10 also for the team leader Marco Canola who reaches the eighth position of the day. Good feelings from the riders of the team who will try to be still protagonists in the next stages. In the inaugural stage of the Vuelta a Burgos, the Spanish stage race that precedes the Vuelta of Spain, the #OrangeBlue team becomes protagonist thanks to the placings of Marco Tizza and Marco Canola. On the castle of Burgos Marco Tizza reaches the 4th position at the end of the insidious final climb characterized by a narrow and disconnected road. For Marco Canola an 8th place and the awareness of being a protagonist in the coming days. A double #OrangeBlue Top10 that testifies to the good physical condition of the riders after the training camp of Livigno and that bodes well for the next stages of the Vuelta a Burgos and for the appointments that the team will face in the second part of the season. The inaugural stage of the Vuelta a Burgos is a stage of 157km total that, starting from the Cathedral of the city, ends with the usual climb on the top of the castle that dominates the city. A race at a normal rhythm in the first 130km, characterized by a breakaway of six riders, to grow in the final km where the group has raised the rhythm with the aim of making selection to take in the first positions the final climb. It is precisely on this short climb that the race has been decided. 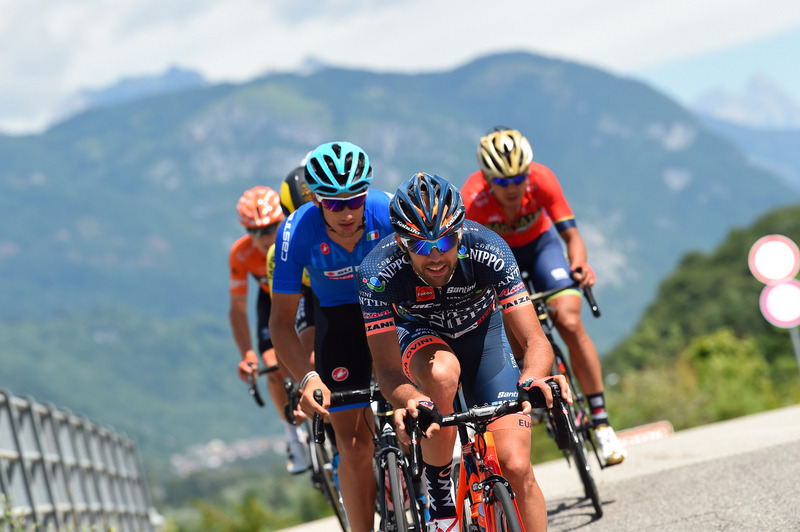 The #OrangeBlue Marco Tizzamanaged to remain attached to the head of the group closing in fourth position one step away from the podium and the day’s winner Francesco Gavazzi. Marco Canola, a few seconds from the leading group, closes in 8th position. With these words Marco Tizza comments the fourth place just reached and his physical condition at the end of the race: “Today was a stage suited to my characteristics and those of our captain Marco Canola. It was essential to take the climb of the castle of Burgos in the first positions, as we knew it was a narrow road and from the bottom a little disconnected. In the end I and Canola got a bit lost, so I tried to do my best to reach the top positions. I am very happy for my physical condition. It was so much that I did not ride and, after the training camp of Livigno, I did not know how my body would react. I missed only the last 100 meters but both me and my teammates Canola and Bagioli are fine and we will try to reach the success already from tomorrow’s stage“. Tomorrow the #OrangeBlue will be involved in the second stage of the Vuelta a Burgos, in a 163km stage moved in the central part and that could end in Castrojeriz with the group sprint.